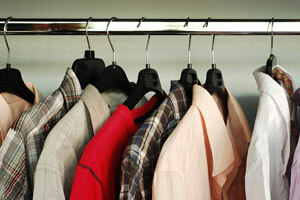 Could your family benefit from having closet organizers installed in your Orlando, FL, home? If it sometimes takes more than a couple minutes to locate a piece of clothing, then there’s a good chance that your bedroom closets could stand to be better organized. For help designing closet organizers that perfectly satisfy your needs, look no further than 31-W Insulation. We proudly offer closet systems from ClosetMaid, one of the most trusted names in home organization. ClosetMaid’s shelving components are designed to stand up to wear and tear, so you can rest assured that your closet systems will help your family stay organized for many years to come. And, they’re available in a wide variety of colors and finishes, so no matter your personal aesthetic, your closet organizers are sure to beautifully complement your home’s décor. For more information about the closet organizers we install in Orlando, Florida, and surrounding areas, contact us today and schedule a complimentary consultation. Be sure to ask about our other home improvement services, including the installation of garage doors, stone siding, attic insulation, bathroom accessories, shower enclosures, and more.